Are you ready to get some treats? This Jake and the Neverland Pirates Essential Treat Bag goes perfectly with a Jake the Pirate costume! This bag can fit a lot of treats inside of it! Guys like Captain Hook are giving pirates a bad name, but Jake and the Never Land Pirates are trying to give them all a good name! If your child loves the show, then you've probably already caught him jumping around the house, pretending to steal the treasure away from bad guys. 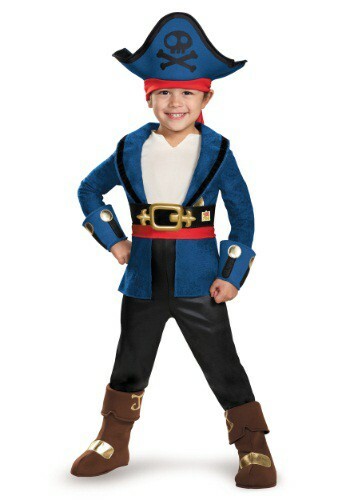 The next step to turning his fantasy into a real life adventure is with this Deluxe Captain Jake Costume for toddlers!